Yesterday I was out fishing for trout in a stream here in Oslo and this pattern got me some small trout, with a sage TXL-F #1 and 6x tippet it was a good saturday to go trout hunting! The mustad hook is really strong and solid for its sice (#18) and this pattern will occupy a row when I go for autumn fishing in september. 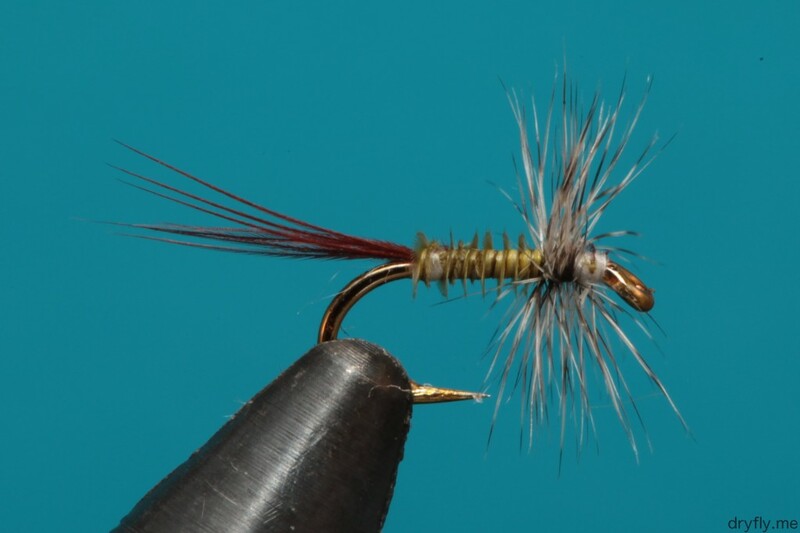 I don’t go for perfection in every fly I tie for fishing: if you look closely this one could have done with a better quill body, but when tying up a large batch I don’t really worry too much about small imperfections like this.